IN WHAT'S been billed a world first, a Bundaberg couple are taking advantage of what's in season and have come up with a wonderful pink surprise. A year ago Rick and Sue Nelson opened the Pocket Storehouse, fulfilling a dream of selling baked goods the "old fashioned way" by using sourdough. 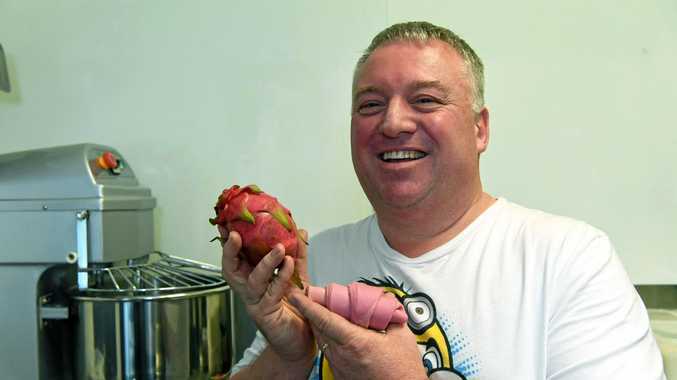 This weekend they are taking another chance, offering what they say is the world's first red dragon fruit croissant. The Nelsons pride themselves on inventing new flavours and using no commercial yeast - only a sourdough starter made of flour, water and salt. "150 years ago is when commercial yeast was created," Mr Nelson said. "Before this time everything bakery wise was made with sourdough." 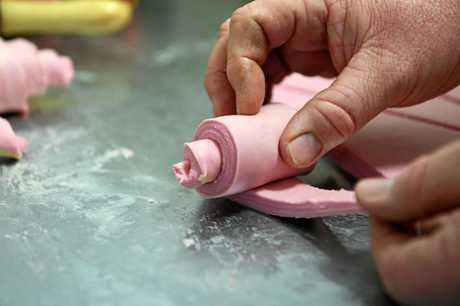 At the Pocket Storehouse everything is made by hand in a process which takes between 24 and 36 hours. 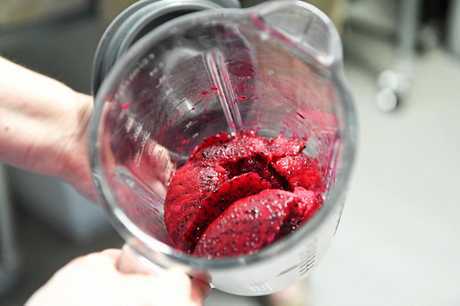 The red dragon fruit treat will be on sale for the first time this Saturday and if your tastebuds are tempted you're urged to get in quick. "We sell 900 products on a Saturday morning and often sell out fast," Mr Nelson said. Interest has come from around the world, with even French pastry chefs questioning how its possible to make sourdough croissants. Mr Nelson said there was always a risk when adding any ingredient to sourdough as it may "kill the sourdough" by changing the culture. "But I'm pretty confident with this." "Our croissants also have a quarter of the sugar then a normal croissant and I'm a type two diabetic so a lot of the things we do, I have that in the back of my mind." 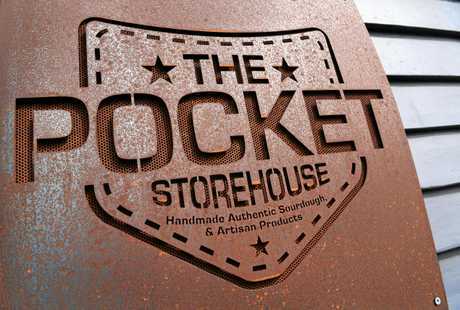 The Pocket Storehouse opens at 7am.